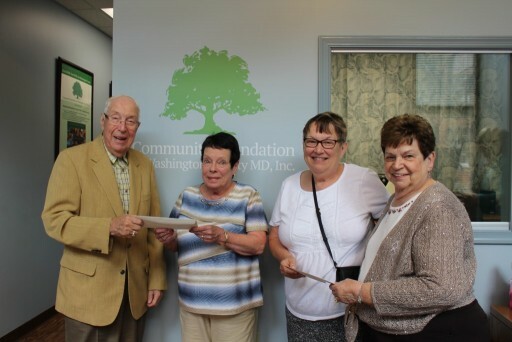 The Community Foundation offers numerous ways you can give back to Washington County. We will help you decide on your charitable goals and what assets you would like to use to make your gift and create your fund. Establish a donor-advised fund so you can remain highly involved in your charitable giving. Create an unrestricted fund that allows the Foundation to respond to changing community needs. Create a legacy fund by remembering the Foundation in your will. Establish a fund in the name of your private foundation. Begin a designated fund, which allows you to identify specific nonprofit organizations as grant beneficiaries. Make a significant gift while retaining income or achieving other financial goals for yourself, your family or your estate by setting up various giving structures, such as a charitable gift annuity or a charitable remainder trust. Create a field of interest fund to focus your giving as narrowly or as broadly as you want. Donate to the Foundation’s Community Funds, which provide resources for annual grant making needs identified by the Foundation. Are you wondering how the Federal Tax Law Changes will affect you? Check out this 60 Day Report on the estimated impact on the State of Maryland from the Maryland Bureau of Revenue Estimates.